Click here to view the Name Index for Volume I. 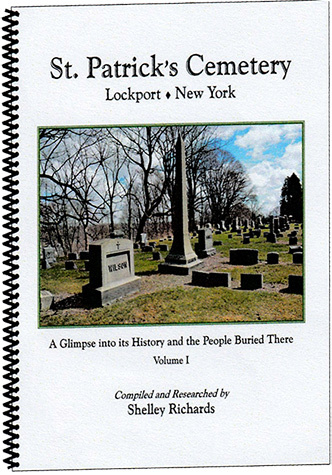 Proceeds from the book sales to benefit St. Patrick's Cemetery. Click here to view the biography listing for Volume II. St. Patrick's Cemetery, Vol. II: A Glimpse into its History and the People Buried There contains biographies, Lot Owner list (3000 names), monument symbolism and cemetery history update are among the chapters.